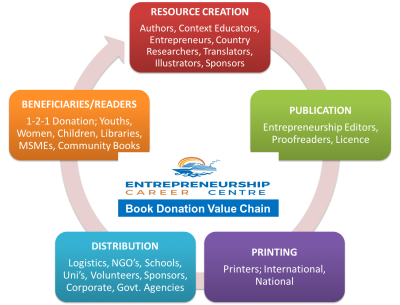 Entrepreneurship Career Centre (ECC) enables entrepreneurship book donations. These entrepreneurship book gifts, formal & informal creative resources educate, transform lives, build capacity, skills, trade cognition and literacy, alleviate poverty, ensure autonomous and lifelong learning, expand horizons, advance readers and develop dynamism. Dynamic humans develop economies faster than natural resources. Entrepreneurial careers enable social and economic development. Entrepreneurship positively enhances life and societal development. National wealth depends on resourceful and entrepreneurial citizens. The E.Y.E campaign enables entrepreneurial career awareness, coaching, mentoring, training, role-model speaking, school, community and country tours. As career patterns change and white-collar jobs disappear 1 million youths will be equipped to effectively contribute to personal, social and economic development through understanding the dynamics how entrepreneurship can be a feasible career choice for the young. The E.Y.E Campaign is about sustaining momentum to enable young people develop entrepreneurial mind-sets and the capacity to successfully start MSME's and grow viable enterprises. Widows and orphans worldwide but most especially in developing countries constitute societies vulnerable. Entrepreneurship Career Centre (ECC) plans to ease their burden and support independency so they can be fed for a lifetime through entrepreneurship and vocational training, including agricultural or targeted food relief, also working toward facilitating educational scholarships that benefit orphans. Entrepreneurship Career Centre (ECC) contributes to policy research 'more thought should be given to how to create the right environment and circumstances to ‘motivate’ and stimulate individuals to become entrepreneurs. This includes ‘enabling’ policies both to help them acquire the appropriate skills and learning, and to surround them with opportunity (i.e., access to start-up resources and supports). These three elements, Motivation, Skills and Opportunity, are the basis of Entrepreneurship Policy Foundations and are key to the creation of a more entrepreneurial economy (Stevenson and Lundstrom). Dr Beem H. Beeka, MCMI, FHEA, PhD is the founder and head of the Entrepreneurship Career Centre (ECC) partnerships. 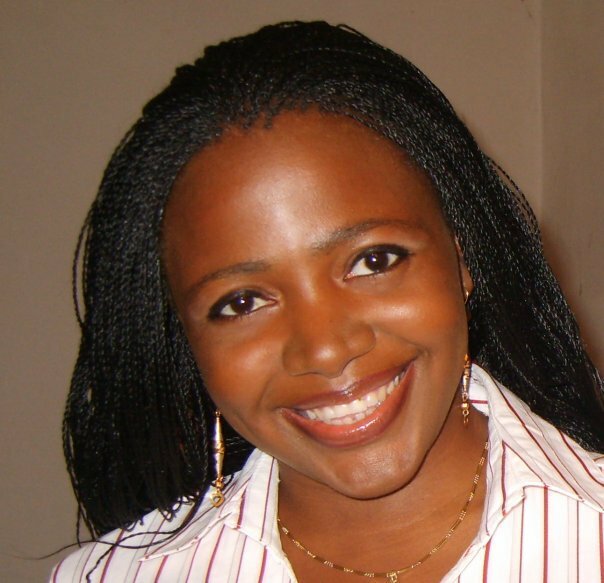 Dr Beeka is an entrepreneur, consultant, author, trustee, lecturer, researcher, entrepreneurship trainer, coach and mentor. With degrees in Economics, Research, HE Practice, International Business & Management & Entrepreneurship. 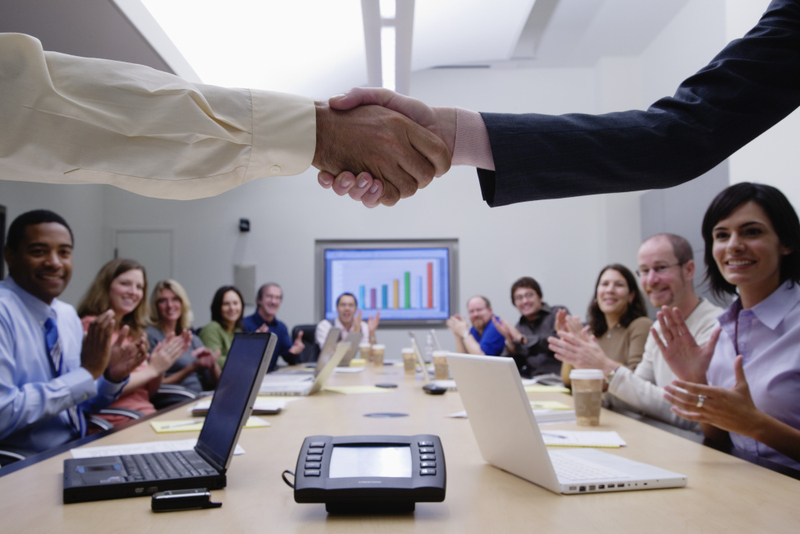 The ECC Team, Governing and Advisory Board currently constitutes leaders in diverse sectors. We operate worldwide enabling entrepreneurial career capacity in partnership with relevant private, public, charity, bilateral and multilateral organizations. Entrepreneurship Career Centre (ECC) develops implementable multidisciplinary conceptual frameworks for entrepreneurial career opportunity identification and development. Through investigating and promoting the entrepreneurial lifecycle we communicate and enable the dynamics for facilitating the career choice in different regions of the world. Our frameworks have implications for sustainable entrepreneurship practice and policy, very important for entrepreneurs, scholars, educators, trainers, governments and society. Entrepreneurship Career Centre © 2017 All Rights Reserved. Identify with the ECC's misssion and enable sustianable entrepreneurial careers that changes lives, feeds generations, develops communities and enables a prosperous world. Entrepreneurial cognition is universal because entrepreneur's worldwide primarily identify and develop opportunity.